Busan Station (Busan Subway Line 1), Exit 10. Take Bus 66, 508 at Busan Station Bus Stop and get off at Yeongdo Post Office Bus Stop (6 bus stops away). 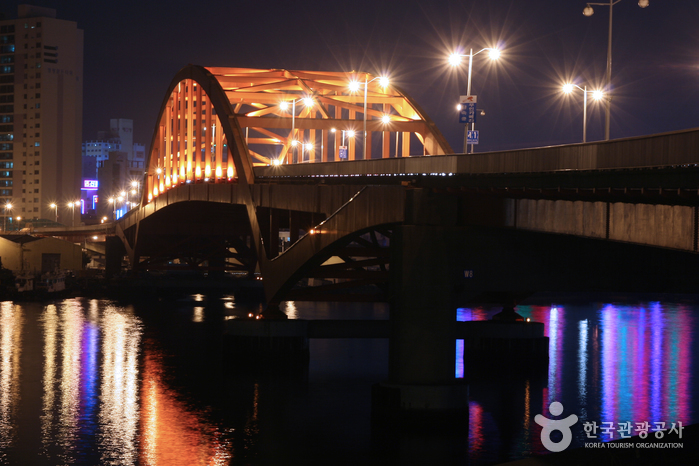 Completed in 1934, Busandaegyo Bridge connects Yeongdo Island to the mainland. It serves as an industrial road that facilitates the transport of freight and cargo from Yeondong-gu District, the center of the shipbuilding industry and an emerging port. 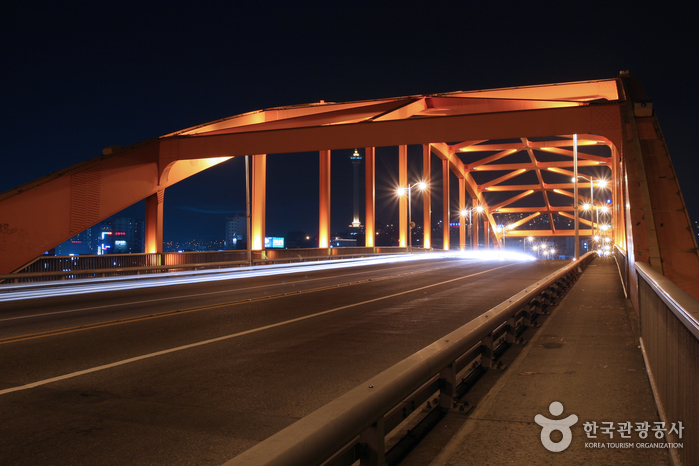 Busandaegyo Bridge is 260 meters long and 20 meters wide, with 16 meters for cars and 2 meters of sidewalk on each side. A boat of up to 14 meters in x_height can pass beneath the bridge, so ships can easily travel between the ports to the north and south. Situated parallel to Busandaegyo Bridge is Yeongdodaegyo Bridge, and the distance between these two bridges is about 100 meters. 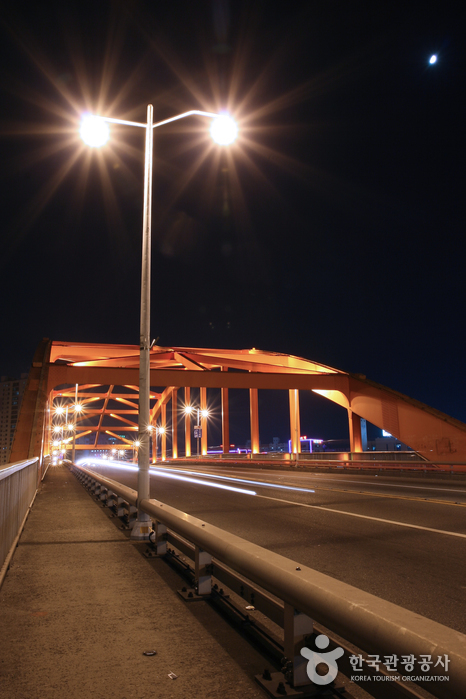 Both ends of the bridge are connected to an elevated road that is 30 meters long and 16-20 meters wide. 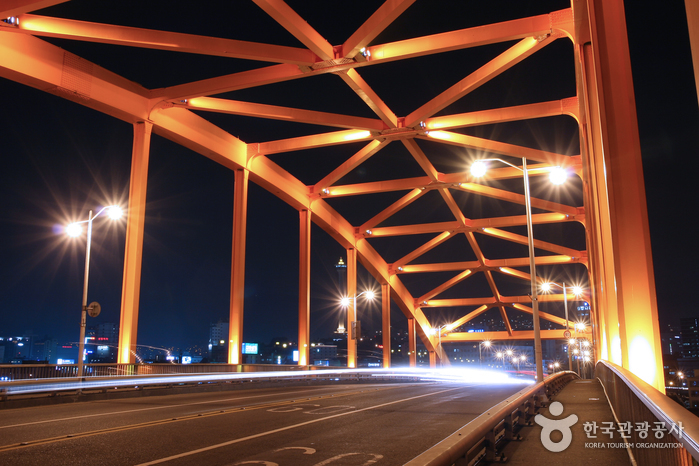 The bridge also leads to the expressway (17.5km in length and 22.5m in x_width), which then connects to Gyeongbu Expressway. 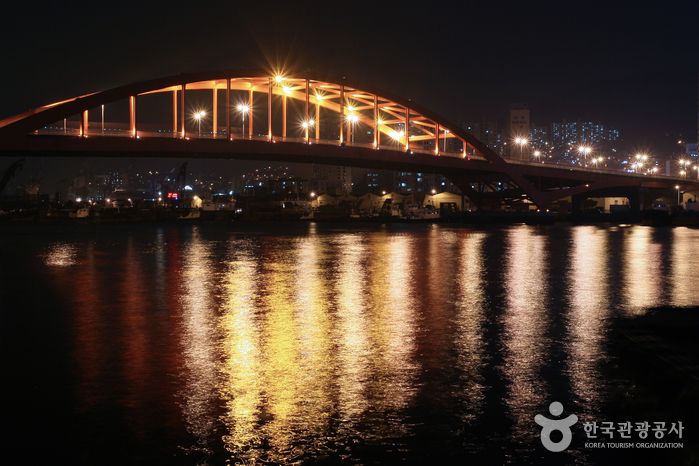 Compared to other bridges built at around the same time, Busandaegyo Bridge has a greater significance in the hearts of the citizens as it was built to commemorate the 100th anniversary of Busan Port and symbolizes the development of the city.